If you ever wish that there is a service like Uber to transport items (and not human beings), wish no more. Sherpa has actually been around for a while (since March 2015) and it offers a service that you can’t resist. 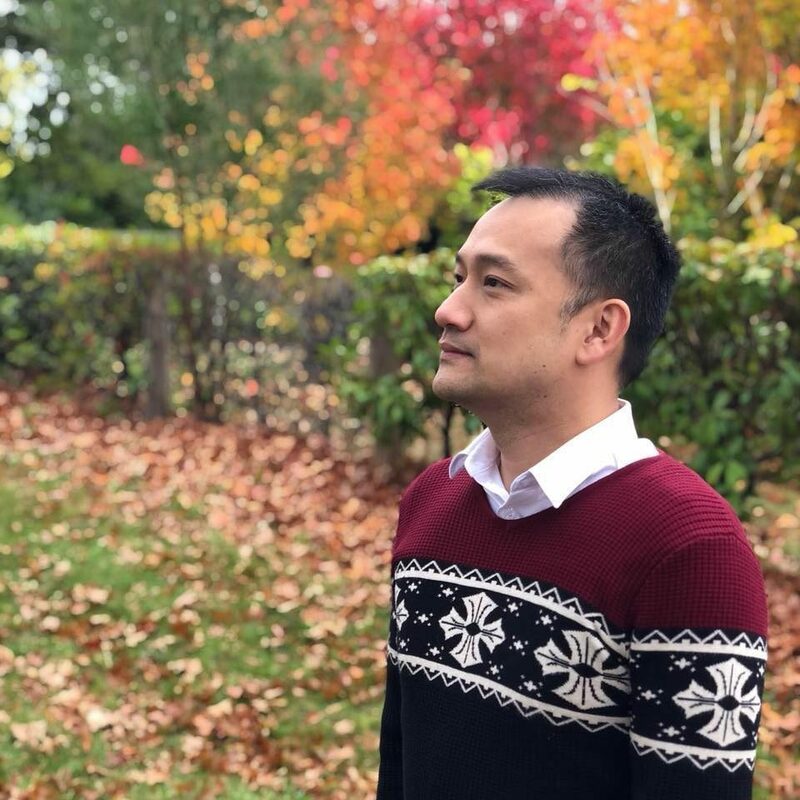 Sherpa is an on-demand private courier services where you can arrange a pick-up and delivery anywhere on the same city with just a few clicks. Not just that, you can even arrange a purchase and delivery too. That means you can purchase any last minute gift and have it delivered to your loved one within 2 hours (a promise from Sherpa). Or, if you feel like you don’t want to get out of the house, you can get a Sherpa courier to get something from a shop or restaurant and have it delivered to you. You’ll then have to fill in a few details about the items (what the items are, cost [for purchase and delivery], pick-up address, and also the destination address). At the end of the form, there is a button to check how much will it cost for the service you require. The price depends on how far it is from the pick-up to destination point, and whether you are requesting a scooter or car for the service. I did a couple of tests yesterday to get a Sherpa courier to buy 2x 1 liter of green juice and a take-away dinner. I had to say I’m impressed with the simplicity of the service, especially since it only requires a few clicks on Sherpa website. After submitting a request, it only takes a minute or two before your request is assigned to a Sherpa courier. Once assigned, you can see the details of your courier, including his/her name and contact number. Most importantly, you can also track where the courier is at all time, so you know exactly what’s going on with your request. 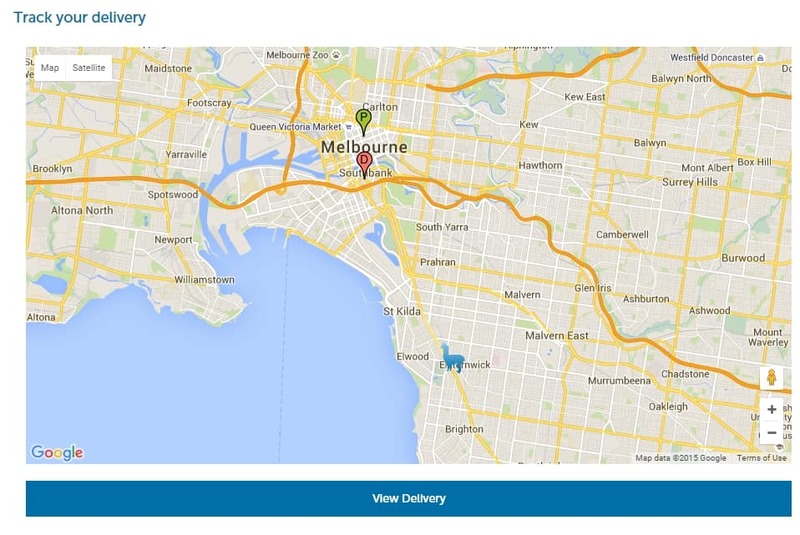 Since Sherpa has a 2-hour window (or 45-minutes for takeaway food), the assigned courier does not necessarily need to be near to the pick-up point. My first Sherpa courier was actually about 15-20 minutes away from the pick-up point. 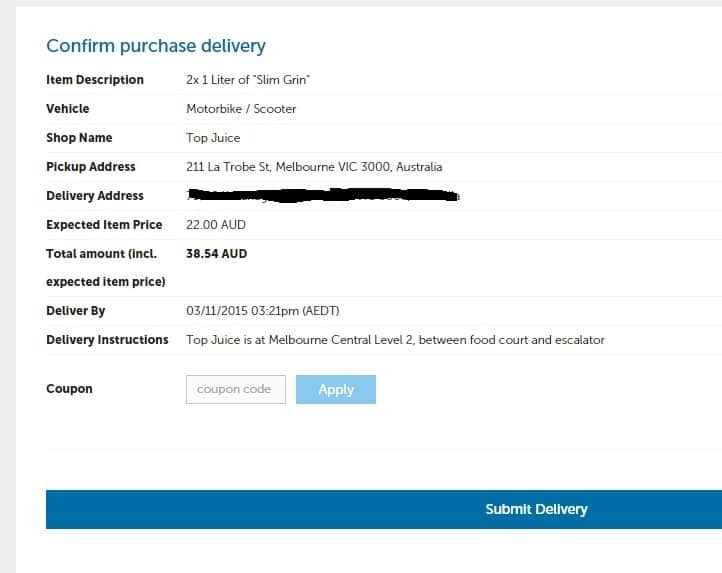 My items were delivered within an hour (he did have to find a park in the city, went to Melbourne Central, ordered the juices, and waited for the order). I met the courier as he parked his car (I saw him coming within a block away from the tracker). He was probably wondering how lazy (and rich) I was to pay for a service just to get 2 bottles of juice delivered. On my second test (about 5 hours after), my request was assigned to the same courier. 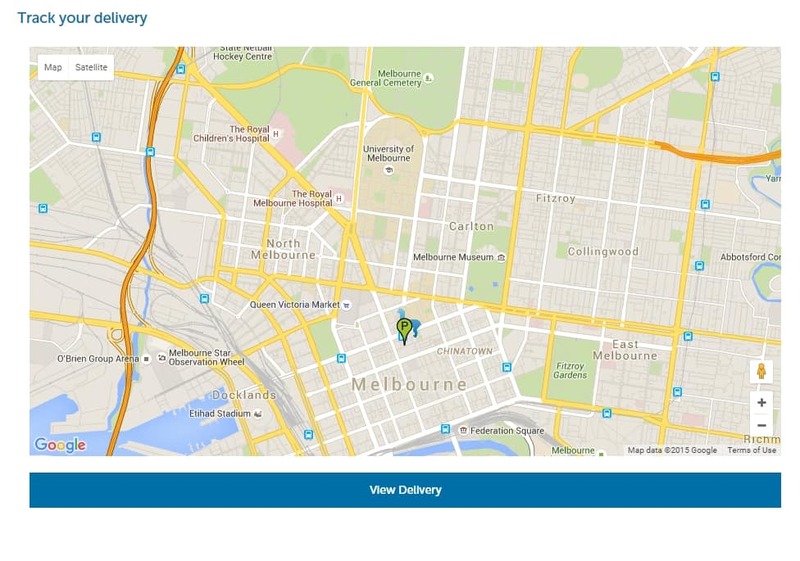 From the info I got, there are around 2,000 Sherpa couriers nationwide but this could be because he’s around town and available (it was Melbourne Cup day). He looked like he still had a job for someone else though, because I could see him driving away from my pick-up point. About 10-15 minutes later, however, I noticed my request was automatically assigned to another Sherpa courier which was closer to the pick-up point (probably to make sure my takeaway food arrived within the 45-minute window). Food arrived in time and I was a happy chappy. 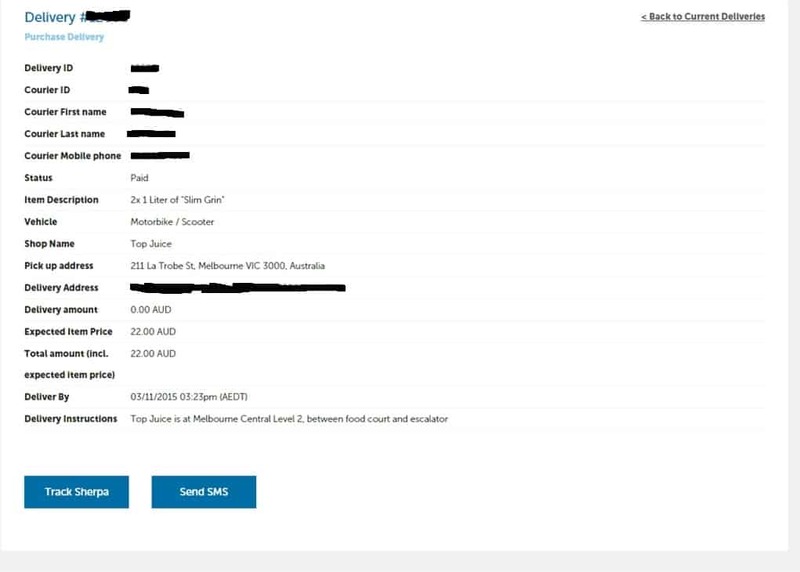 I was charged around $13-17 for the delivery services (pick-up/destination points are within 3km away) and I saw that it would cost me around $35 for a 20km trip. So, depends on your situation or circumstances, getting a Sherpa service can cost you more than the item itself (for food deliveries). However, the flexibility, convenience, and responsiveness of Sherpa services are second to none. You can write notes on the request and even send a text or call your assigned courier if you need to. Jobs were assigned quickly and the tracker is accurate and useful. 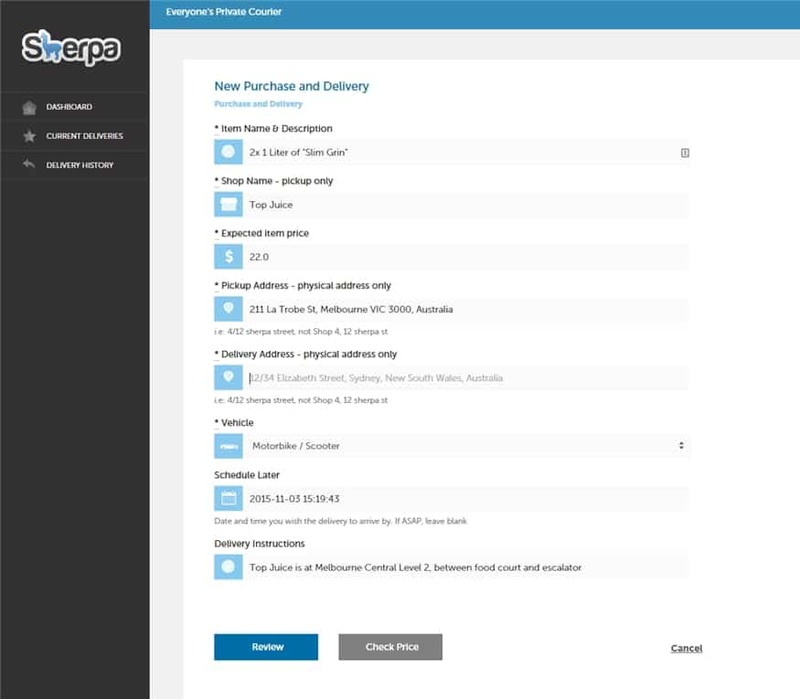 Signing up to Sherpa is free and at anytime, you can check how much you will pay before confirming the order. This way, you won’t get any surprises and can decide if it’s worth paying for. Sherpa gets around 4,000 deliveries per month so it looks like Sherpa will stay around for a long time and it’s good. Disclosure: I was given Sherpa coupon codes to use the service for free, so I only had to pay for the purchased items (which is why you see $0 fee in some screenshots). All opinions in this post are mine.